German and Australian scientists have launched water-quality monitoring tools that will enable anyone in the world to zoom in on what is stirring up under the surface of Australian waters. 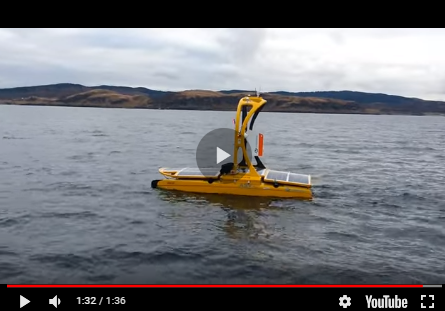 Germany-based aquatic remote sensing company EOMAP teamed up with Western Australian statutory authority Landgate to deliver these products, which measure visibility, turbidity and chlorophyll concentrations in the water column. The result are digital maps that are continuously updated as these parameters vary across the oceans and coastal waters. The tools also can go back in time as far as 2001, meaning that it is possible to compare the current water column environment with baseline measurements from the past. This can become important when using these tools to monitor dredging and dumping plumes. Perceived change can be compared against objective, quantitative historical data of natural variability, providing a balanced assessment of real change. Other examples of product application include identifying algal blooms, tracking sediment plumes from rivers, and, for divers, seeing if the water is clear both for diving as well as the return trip home. EOMAP have also developed a web app for public use. The 'eoApp Australia' is an online data visualiser which enables anyone with a web browser to view these water quality parameters in two important areas: Abbot Point and the neighbouring Great Barrier Reef, as well as Barrow Island and the nearby Ningaloo reef at no cost. For example at Abbot Point, you can zoom in, extract data point values, and monitor basic parameters over time. There is an option of professional, customised versions of the eoApp to scientists and managers in conjunction with a subscription to these data product feeds. The monitoring is at regional through to continental scales, featuring imagery with pixel resolutions of 250m or 500m as standard. Map products with higher spatial resolutions of 30m and even 2m pixels are also available. Image: eoApp Australia screengrab and zoom-in of EOMAP turbidity product over Whitsundays.